Ride right from your doorstep on the Homer Township ATV approved roads, or if you prefer, try the nearby 43 mile trail at the nearby Susquehannock State Forest summer trail, a loop trail located south of Denton Hill State Park. Access to the trail is from Lyman Rm State Park, on SR 44 north of Cherry Springs, or the intersection of Rock Run Road and the Ridge Trail (ATV trail). 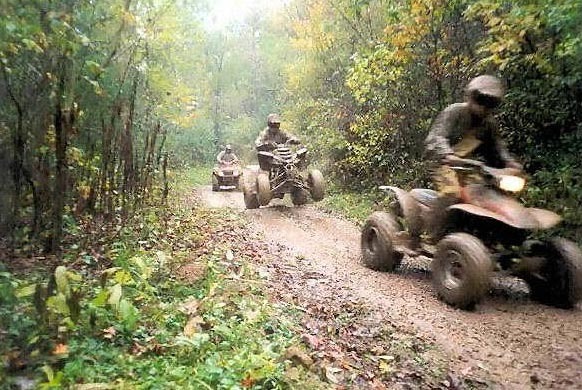 Potter County boasts some of the best ATV trails in the world. Our trails are well maintained, groomed, and offer scenery second to none. Don’t have an ATV? Our area is home to several local ATV dealerships, such as Larry’s Sports Center, and Canyon Motorsports. Still have questions? Visit the DCNR website for information on riding rules and regulations, trail maps, and more.